82583 / 41520 1997-2004 Ford F-150/F-250 Truck Receiver - Hidden Hitch Class III trailer hitches are custom fitted to the vehicle for easy installation and come with necessary mounting hardware and clear instructions for installation. Drilling is not required for most installations. This hitch has a black powder coat finish that provides excellent rust resistance for years and a 2 inch receiver opening. (Ball mount, pin and clips, hitch ball and wiring kit are not included along with the hitches.) Limited Lifetime Warranty. 600 lbs Tongue Weight / 6,000 lbs GTW. A Weight Distribution system increases tow rating to 1,000 lbs Tongue Weight / 10,000 lbs GTW. 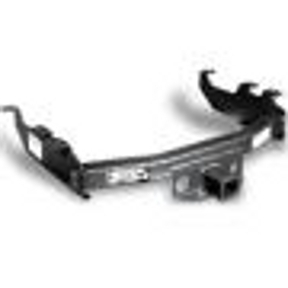 Fits a number of 1997-2004 Ford F-150 and F-250 Trucks. Please give us a call and we will be happy to help you find the correct fit for your vehicle.